This giveaway has ended check out our other giveaway for a $500 Target Gift Card. I recently posted about our experience with GE Reveal Bulbs. Well now you have the chance to enter to win a $25 Target Gift Card + GE reveal® light bulbs! What room will you makeover? GE reveal light bulbs are now available at Target where all makeover needs can be purchased in one swoop and with great savings using Target’s Cartwheel savings app. With the Cartwheel app, you can browse for savings ahead of shopping or while at Target, you can scan the barcode of any product to see if there is a Cartwheel saving. You Download the Target Cartwheel app on your IOS or Android. You can also print off this coupon for amazing savings on GE Reveal bulbs at Target. We have a great opportunity for you to win this makeover experience. You can enter to win a $25 Target gift card + GE reveal® light bulbs + a free download of the Herbert Bail Orchestra EP (first track featured in GE Lighting video). 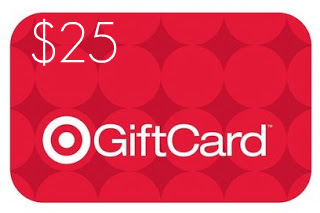 Enter the Rafflecopter Giveaway Below to win this Target Gift Card and Light bulb giveaway. If I win #GE reveal bulbs+ #Target gift card, I’ll makeover my game room with reveal’s beautiful clean light! If I win #GEreveal bulbs+ #Target giftcard, I’ll makeover my office with reveal’s beautiful clean light! If I win #GEreveal bulbs+ #Target giftcard, I’ll makeover my living room with reveal’s beautiful clean light! If I win #GEreveal bulbs+ #Target giftcard, I’ll makeover my bedroom with reveal’s beautiful clean light! If I win #GEreveal bulbs+ #Target giftcard, I’ll makeover my bathroom with reveal’s beautiful clean light! If I win #GEreveal bulbs+ #Target giftcard, I’ll makeover my kitchen with reveal’s beautiful clean light! If I win #GEreveal bulbs+ #Target giftcard, I’ll makeover my _ with reveal’s beautiful clean light! Id makeover my bathroom. If I win #GEreveal bulbs+ #Target giftcard, I’ll makeover my dining room with reveal’s beautiful clean light! If I win #GEreveal bulbs+ #Target giftcard, I’ll makeover my baythroom with reveal’s beautiful clean light! If I win #GEreveal bulbs+ #Target giftcard, I’ll makeover my master bedroom with reveal’s beautiful clean light! If I win #GEreveal bulbs+ #Target giftcard, I’ll makeover my family room with reveal’s beautiful clean light! If I win #GEreveal bulbs+ #Target giftcard, I’ll makeover my _ with reveal’s beautiful clean light! If I win #GEreveal bulbs+ #Target giftcard, I’ll makeover my livingroom with reveal’s beautiful clean light! If I win #GEreveal bulbs+ #Target giftcard, I’ll makeover my diningroom with reveal’s beautiful clean light! I’d make over my living room. It really needs brighter light! If I win #GEreveal bulbs+ #Target giftcard, I’ll makeover my bedroom_ with reveal’s beautiful clean light! If I win #GEreveal bulbs+ #Target giftcard, I’ll makeover my great room with reveal’s beautiful clean light! If I win #GEreveal bulbs+ #Target giftcard, I’ll makeover my study area with reveal’s beautiful clean light! I would use the GE Reveal bulbs in the bathroom and give the $25 Target GC to a friend for her birthday. If I win #GEreveal bulbs+ #Target giftcard, I’ll makeover my basement with reveal’s beautiful clean light! If I win #GEreveal bulbs+ #Target giftcard, I’ll makeover my dark office with reveal’s beautiful clean light! If I win #GEreveal bulbs+ #Target giftcard, I’ll makeover my master bath with reveal’s beautiful clean light! I’ll makeover my kitchen with the GE reveal bulbs. I’ll put them in the bathroom so it’s easier to do my makeup!! Thanks for the chance! If I win #GEreveal bulbs+ #Target giftcard, I’ll makeover my kid’s playroom with reveal’s beautiful clean light! If I win #GEreveal bulbs+ #Target giftcard, I’ll makeover my craft room with reveal’s beautiful clean light!